Being in business since 2005, nothing says it better than hearing what our customers have to say. 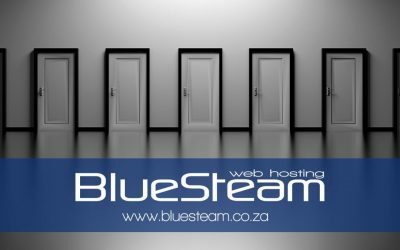 BlueSteam offers web hosting locally in South Africa as well as the UK to enable you to choose your target markets more effectively. Allow us to work with you to build your next website for that next project that you have in mind. Or let us rework your current website to bring it back to life. BlueSteam has been providing web hosting and domain name registrations since 2005. We are confident that you will be more than satisfied with what we have to offer. or purchase annually for awesome savings! *On select packages and 1st year only! We strive to satisfy the needs of every customer by providing the world-class support that you need. There is no substitute for great support! We’re convinced that you’re in good hands At BlueSteam, our customers are our most important asset. Being there for you is our top priority! Stability is Paramount. Quality of service is never ignored at BlueSteam. Breaks in the chain can be very frustrating. Solid infrastructure is what we pride ourselves in! Without consistent uptime, online processes suffer significantly. When it absolutely, positively has to be available every hour of the day, BlueSteam has your back! We are so confident that we back up our claims with a 30 day money back guarantee. All web hosting services offered comes with a 30 day money back guarantee. Risk free to you!! Website Platform Installations Made Easy for you to manage yourself. Softaculous is a great Auto Installer having hundreds of great scripts and classes and still more are being added all the time. Save money by trying our simple and FREE website builder. 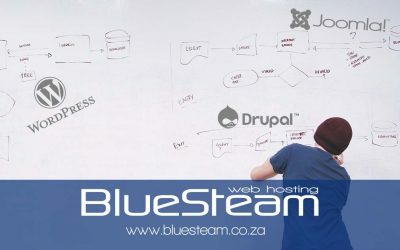 BlueSteam offers you the option to build your own website using our free simple website builder to get you up and running with very little effort. Improve your search engine ranking and establish trust and online security for your website visitors and business. Receive 1 month free with any annual singup. The Weebly website builder makes it easy to create a powerful, professional website without any technical skills. Over 40 million entrepreneurs and small businesses have already used Weebly to build their online presence with a website, blog or store. Below are just a few of the services that BlueSteam provides with all our web hosting packages. Take a look and compare our local web hosting packages in detail to see which one suits your personal needs. Take a look and compare our UK web hosting packages in detail to see which one suits your personal needs. With the internet being such a fast paced environment, it is crucial to keep up with the trends of modern day website design. Start searching for your unique domain name now using our easy domain search utility. SSL Certificates are fundamental to internet security. Establish an encrypted connection and allow data to be transmitted securely. Block nearly 100% of viruses, malware and spam before they ever reach your inbox with SpamExperts. 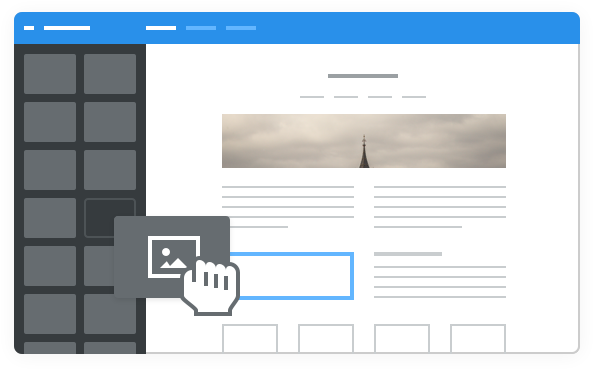 The Weebly website builder makes it easy to create a powerful, professional website without any technical skills. BlueSteam offers a remote desktop support solution to keep you and your business going when you hit that bump in the road. "I can honestly not think of anything to improve on. Keep up the amazing work!" "Absolutely great. Quick, efficient and helped me solve a major problem even after the domain was transferred away!" "Brilliant as always!!!!! Very fast, very efficient and such a pleasure to deal with!!!" "Always willing to help and listen to me as a client. Communication is always on point whenever they do server upgrades. I'm the happiest client in the past 8 years ever since I've been with them." 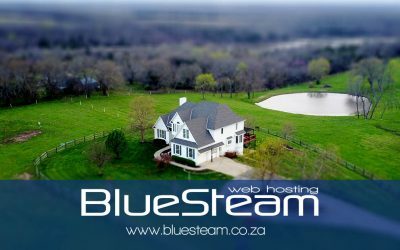 "I would readily recommend BlueSteam to anyone needing friendly, helpful hosting. Every time I've needed help, I've always received prompt and great service from them!" Keep up to date with the latest happenings at BlueSteam. Read about topics that we find interesting and helpful to our readers. New Years bring new Opportunities! With a new look on the upcoming year, our minds start racing on what new ideas we can come up with or new adventures we can go on. This year, BlueSteam has decided to join in the fun and bring our customers more of the savings that our customers already enjoy. This year we are offering ALL our web hosting packages at a 60% discounted rate if you sign up annually on Black Friday. However, while announcing this special, I was drawn to the history behind it and felt that it would be nice to write an article about this topic. These days, most businesses know and understand what web hosting is and that it is an obvious and required service to enable their business to be successful in today’s day and age whether their services are online-based or not. However, there are those that are still unsure of what web hosting really is. I’m often asked what a clients password is when they are trying to log in to their Client Area and I always proceed to reset the password and send the client a new one. 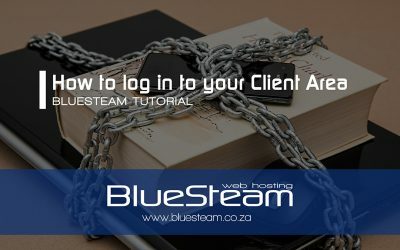 So I decided to create this tutorial to show you how to reset your Client Area password without needing to wait for support to do it for you. As part of your web hosting services that you purchase through BlueSteam, you will be required from time to time to access your Client Area dashboard in order to either make payments, make new purchases or modify the existing accounts that you have through BlueSteam. This tutorial will show you how easy it is to log in to your client area to access your services, domain settings or billing information. I could easily create a Top 10 list of the preferred website builders that you should choose from but there are so many available options today that it becomes a major toss-up between the different platforms. There are far more than just 10 and with such a wide variety of CMSs available today, you could spend days trying to figure out which one is best for your website needs.